Tiny liberal arts colleges are dead. They just don't know it. 15 small-college presidents meet in New York City. My father was a fighter pilot in the Army Air Corps in December, 1941, stationed at Clark Field in the Philippines. He often told this story about his introduction to World War II. About two weeks before the Japanese attacked Pearl Harbor, my father told me, his commander called all the young airmen together for a meeting. "Make out your wills and get your affairs in order," the commander told the pilots. You are not dead yet, but most of you will be soon." And the commander was right. My father's P-40 fighter plane was bombed on the ground when the Japanese attacked Clark Field a few hours after the Pearl Harbor attack. Six months later, my father was captured on the Bataan Peninsula, along with the entire American army. He experienced the Bataan Death March and spent the rest of the war in a Japanese concentration camp. Two thirds of his fellow prisoners died while in captivity. I thought of my father's story as I read an article about a recent meeting of 15 presidents of the nation's smallest liberal arts colleges, which took place in New York City last June. All 15 presidents represented institutions with 800 students or fewer. 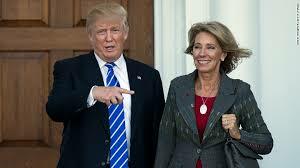 Rick Seltzer of Inside Higher Ed reported on the meeting, from which I gathered the presidents concluded that their colleges are doing a great job educating young people. The problem, from the presidents' perspective, is poor public relations; the public simply does not realize just how neat and special these colleges are. Thomas O'Reilly, president of Pine Manor College (about 450 students), said this about his institution: "We're small enough that we can work with a handful of students, and if it works for them, it can be quickly spread across the rest of the programs we're offering.. If it doesn't we can quickly stop--just as importantly--without having made a major investment." OK, I got it. Small liberal arts colleges are nimble, and that's why they're special. Mariko Silver, president of Bennington College, another micro institution, said the nation was focused overmuch on scaling up higher education without appreciating the small colleges. "One of the things that I feel makes American higher education the envy of the world is a real diversification of institution types--an ecosystem." Nice talking points, Mariko! Everyone in higher education likes to be reassured that American colleges are the envy of the world. But in fact, the tiny liberal arts colleges are on the verge of extinction. A few small liberal arts colleges will survive and even thrive: those with large endowments or sterling reputations like many of the small liberal arts colleges in New England. And small colleges that excel in nursing or health care will probably be fine. But tiny colleges with 800 students are fewer cannot long survive, in my opinion. As my father's commander might have put; they are dead and just don't know it. I don't say this with any pleasure. The microbrew college presidents are probably right to say there is a distinct value to receiving a liberal arts education at a small college. But the economics of higher education today simply won't allow the small liberal arts colleges to survive. In 2015, Moody's Investor Service predicted that college closings would triple by 2017. And Moody's prediction is too conservative. Of the 15 colleges represented at the New York City meeting last June, I predict half will close within five years. Shimer College, for example, has fewer than 100 students. Who thinks it will still be open in 2022? Shimer is in Chicago. I'm surprised Shimer's president could afford to travel to New York City. Apart from all the other challenges small liberal arts college face, they simply can't survive in a world of ever increasing state and federal regulations. And here's an example. In a case decided by the Second Circuit Court of Appeals last May, Michele Dziedzic sued SUNY Oswego for sexual discrimination under the Civil Rights Act of 1964 because she was transferred from the paint department to the plumbing department. The plumbing department, in her view, was "less prestigious" than the paint department, which she maintained was an elite unit. Dziedzic also said she had suffered from a hostile working environment due to sexual jokes and racy pictures that she was forced to endure when she collected her mail from a mailbox in the men's locker room. I am not belittling Ms. Dziedzic's grievances. She may very well have been transferred to the plumbing department for nefarious reasons, and being forced to visit the men's locker room to collect her mail may have been humiliating. But is this a federal case that must travel to the Second Circuit Court of Appeals? The suit may not have cost Ms. Dziedzic much; she represented herself. But SUNY Oswego was represented by four lawyers! How many suits like that could an institution like Shimer College or Pine Manor College endure? Not many. At my own institution, I signed a form awhile back certifying that I had read a safety memo informing me that it is dangerous for university students or employees to text on their cell phones while walking on campus. I imagine this memo was spawned by some state or federal safety regulation. How much did my university spend warning students and employees not to walk while texting? In recent years, the U.S. Department of Education has issued "Dear Colleague" letters that dictate how colleges manage their restrooms and their student grievance procedures. Each of these "Dear Colleague" letters imposes a financial burden on coleges and uniersities. And the colleges don't push back on the ever tightening noose of federal regulation because they are all addicted to federal student aid money. I will be sorry to see the small liberal arts fade away like old soldiers. But I feel sorrier still for students who take out student loans to attend these dying institutions--institutions that may well be closed before their graduates pay off their student loans. Dziedzic v. State University of New York at Oswego, 648 Fed.Appx. 125 (2d Cir. 2016). Rick Seltzer. Leaders consider future of tiny liberal arts colleges. Inside Higher ED, November 11, 2016. Kellie Woodhouse. Moody's predicts college closures to triple by 2017. Insider Higher ED, September 28, 2015. OK, let's assume for a few moments that you are a super responsible student-loan debtor who wants to pay off your college loans early and get on with your life. And let's assume you have a few extra bucks at the end of the month and you want to make larger monthly payments on your student loans so you can reduce the principle faster and pay off your loan more quickly. That should work, right? Maybe not. The Consumer Financial Protection Bureau issued a warning recently that some student borrowers who pay more than the minimum monthly payment on their loans may actually be extending the period of their indebtedness. According to the CFPB, some student borrowers have reported that their loan servicers are thwarting borrowers who try to pay off their loans early by making larger payments.. In fact, some servicers have constructed a loan collection system that penalizes people who may more than the minimum monthly payment. How does this system work? In some cases, loan servicers have unilaterally lowered borrowers' minimum monthly payments, thereby extending these borrowers' repayment period and the amount of interest that borrowers pay, and they have often done this without the borrowers' knowledge. This arbitrary practice of resetting borrowers' monthly payment amounts is called "redisclosure," and the CFPB warns borrowers that they could trigger redisclosure by making extra payments to pay their loans off sooner. When borrowers pay more than they owe, they expect to save money on interest charges and get out of debt faster. But the practice we highlighted can hold these borrowers back, making it harder and more expensive for student loan borrowers to pay back their loans and get out of debt. 1) "Double check to make sure you're still on track to meet your goals." In other words, check to see if your servicer lowered your monthly loan payment without your knowledge. 2) "Tell your servicer what to do with your extra money." Make sure the extra money goes to paying down your loan with the highest interest rate and that extra money goes toward paying down principle. 3) If something doesn't look right, ask for help." Of course, this is good advice, but wouldn't it be better if the CFPB simply required student-loan servicers to do business honestly and transparently? Shouldn't borrowers be able to pay off their student loans early by making extra payments? And shouldn't servicers be prohibited from changing payment terms without the borrower's permission or knowledge? As I have pointed out more than once, several policy organizations argue tirelessly that worries about the nation's student-debt crisis are overblown. In particular, scholars at the the Urban Institute and the Brookings Institution have repeatedly published articles that minimize the magnitude of what I have long called a crisis. It is not surprising then that Beth Akers, a fellow at the Brookings Institution, and Matthew Chingos, a fellow at the Urban Institute, published a book recently called Game of Loans, that essentially argued that the federal student-loan program is basically sound and under control. In my view, Akers and Chingos widely missed the mark regarding the student loan crisis. They did not misrepresent the data about this problem or say anything that is technically inaccurate. Rather, in my view, they seriously misinterpreted data that warn of a coming catastrophe. I won't attempt to articulate all my criticisms of Game of Loans in this essay. 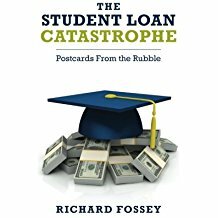 Rather I will focus on one point that Akers and Chingos made in Chapter 5, where they admit that "education debt is having negative psychological impacts on borrowers" (p. 95). Of course this is true. As Kathryn Hancock explained in a 2009 law review article, "Studies have consistently found that socioeconomic status and debt-to-income ratios are strongly associated with poor mental health." Student loans, in particular, Hancock wrote, "can be a chronic strain on an individual's financial and emotional well-being." Indeed, "[t]he mere thought of having thousands upon thousands of dollars worth of debt can severely impact those with already fragile mental health, especially if they will carry that debt for the rest of their lives" (Hancock, 2009, 160-161, internal quotation marks omitted). But what solutions do Akers and Chingos offer for this problem? Solution number one, they say, is to dial down the rhetoric about the student loan crisis. We need "to change the tone of the public discourse on this issue," Akers and Chingos counsel. In their mind, the "hysterical treatment" of the student-loan problem has caused some borrowers to worry more about their student loans than they should. And solution number two? Akers and Chingos suggest that the psychological costs of student indebtedness could be reduced by creative repayment plans, including income-driven repayment plans. In essence, Akers and Chingos are aligned with the Obama administration when it comes to addressing the student-loan crisis. Let's pretend there is no crisis and shove more students into long-term repayment plans. Thanks, Ms. Akers and Mr. Chingos. You've been a big help.